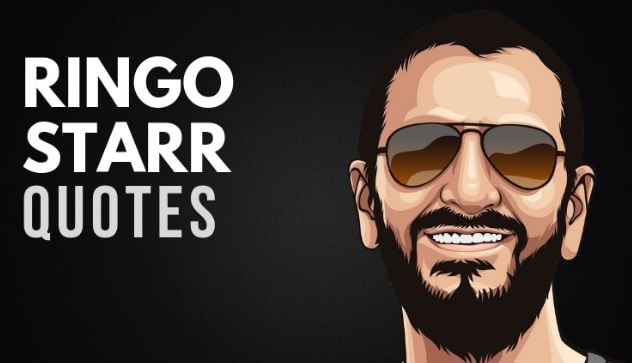 Posted on 30 januari, 2019 by Artillio Bergholtz Posted in Nyheter, Ringo Starr	. Så har vi då kommit till det sjunde och sista avsnittet med inspirerande citat från självaste Ringo Starr. Slutet gott allting gott! Do you remember when everyone began analyzing Beatles songs…I don’t think I ever understood what some of them were supposed to be about. I think we should have an understanding and love and peace. I mean, peace and love have been my situation. You hear that in the song. I’m trying to promote that now: peace and love and understanding. That’s all drugs and alcohol do they cut off your emotions in the end. I’m like everyone else, on the stage it’s good. Not too much fun in the hotel or the airplane or the bus, but you got to do it. Beatles, women and children first! End of part 7 out of 7.